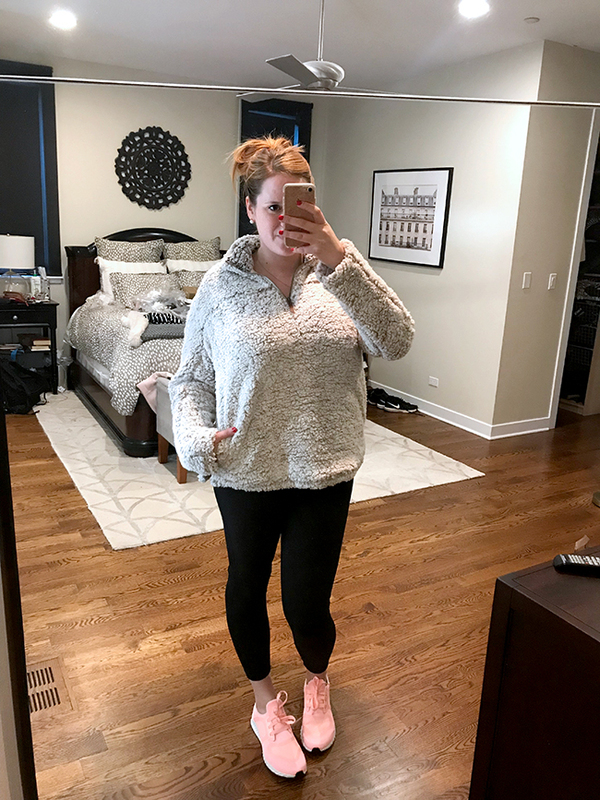 Almost everything I ordered from Nordstrom arrived yesterday (the majority in one, comically large box) so I tried everything on for you last night! Unfortunately for my wallet, I liked more stuff than I thought I would, with the exception of the shoes. I'm sharing and linking everything, even items that are sold out, in the hope that they come back into stock when the sale goes live to the public on Friday. If you're a cardholder you can shop now, otherwise start making a wishlist! 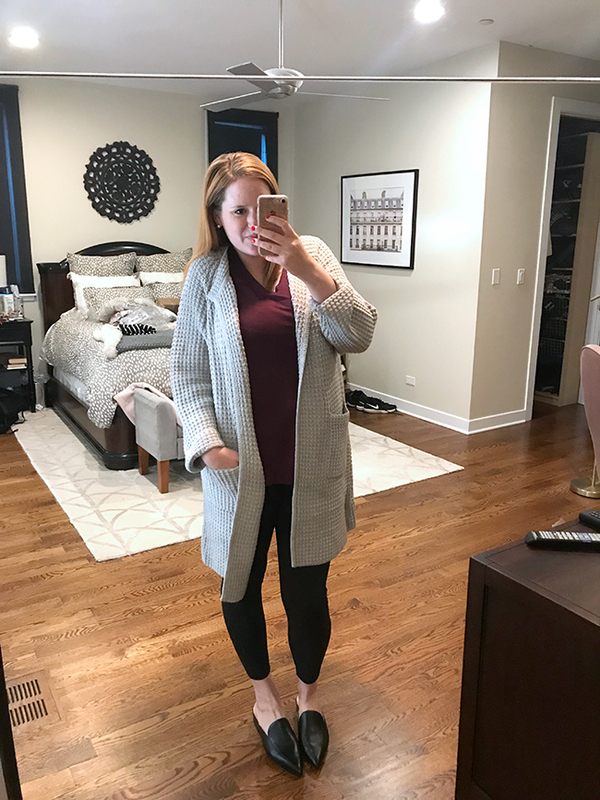 I freaking love this cardigan, it really feels like a high end piece. It's really thick and warm, and I love the waffle texture. It feels like something that could be worn as a coat or a sweater. The sleeves are also long enough on me (I actually have them rolled here). 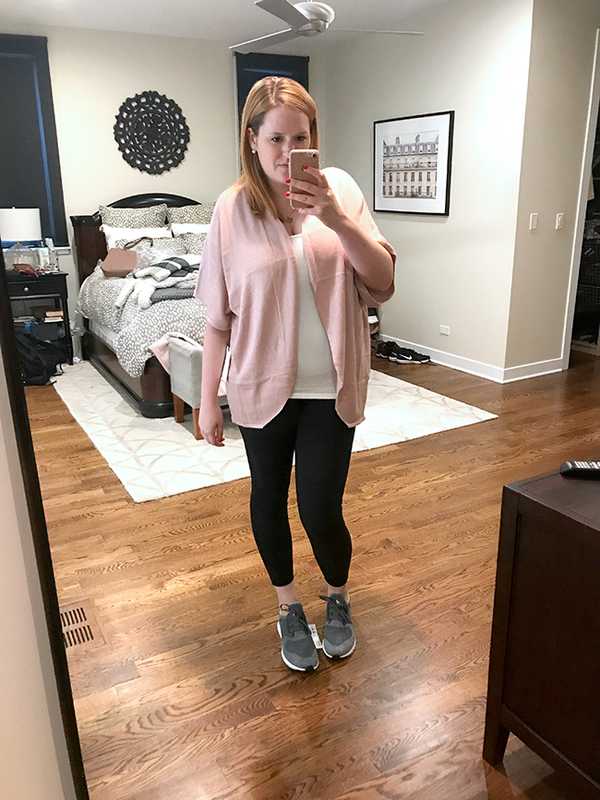 I didn't actually buy a new pair of leggings this year because these have held up so well! They're thick which makes them really flattering, with a high waist which means they don't fall down. I also love that the inseam is actually ankle length on me. 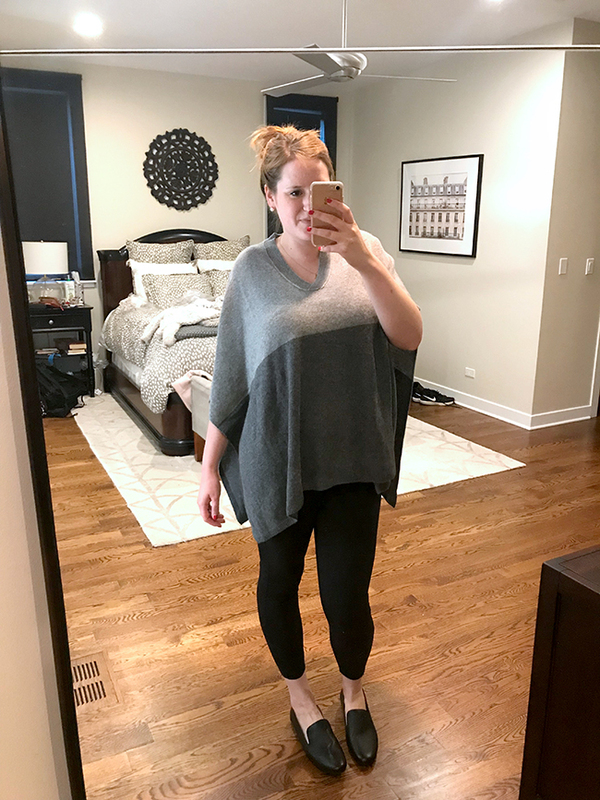 I'm wearing these leggings with every outfit below, because it turns out I didn't actually order any pants this year! I love the look of these, the tiny heel is flattering and the pointy toe is so chic. But my toe area is slightly wide (usually not enough to necessitate wearing a wide size) and the way these come in to a point was just not comfortable to me. I got the scoop neck striped version of this tee last year and loved it, but don't love it quite as much this year in this color. It's a little thin and shiny, so I would need to wear a tank underneath. That being said, with the price and the comfort level of this tee, I'm going to keep it to layer under cardigans. 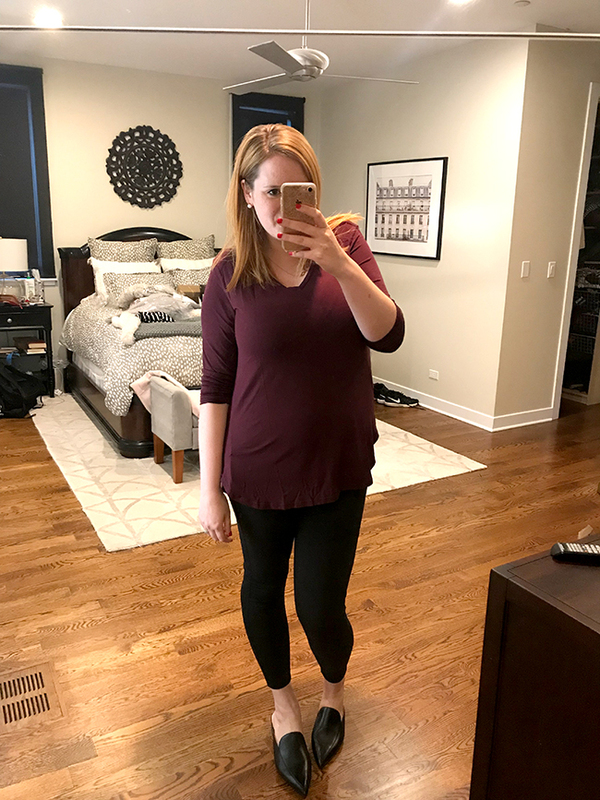 What I do like is the tunic length and rounded hemline - it's perfect for wearing over leggings! I thought 100% this would be going back based on the sizing description - I'm wearing a size large which is said to be a size 6-8 (ha, I'm usually in a 14 these days!) but the fit is still oversized! So I'd definitely suggest sizing down in this. It is amazingly cozy, like basically the softest thing I've ever put on my body. Word on the street from other bloggers is that while the tag says it's dry clean only, washing on delicate works just fine. I was worried the color of these would be a neon peach, but in real life they're actually more pink and not neon at all. 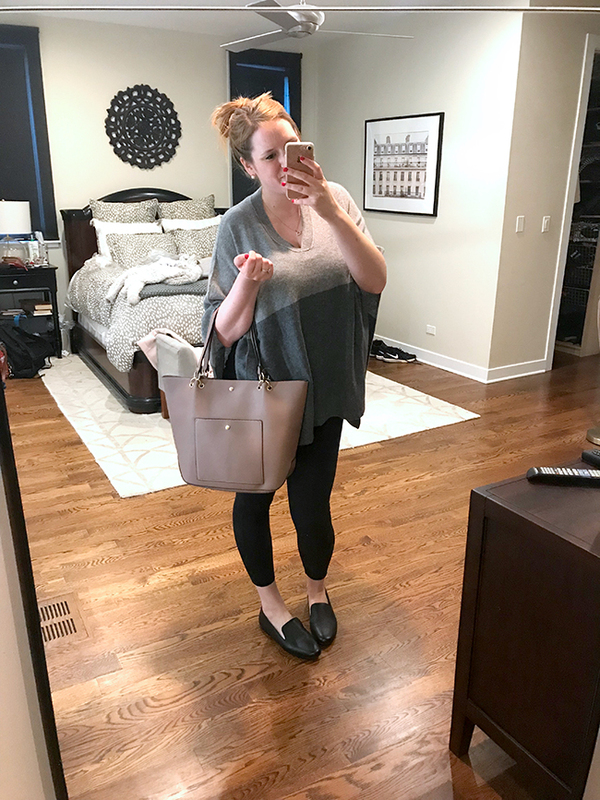 I also clearly have super picky feet (just read all of my shoe reviews in this post!) and these are so comfortable - I love the "sock" fit with no tags to rub my feet, and that they dip low on the sides so they don't hit my ankle bones either. Now to just decide whether to keep the pink or the grey... or both? I thought this was more of a true poncho, but the sides are actually completely open. That being said, it's really soft and comfortable, and really cute in person - I feel like the picture isn't doing it justice! Definitely a keeper. So these are definitely grandma shoes (I mean, just look at the brand!) but grandma shoes might be what I need - they're so freaking comfortable!! They have a cushioned insole with heel and arch support, and the leather is super soft so there isn't any rubbing - no need to break in! My feet are going to love me when I wear these to work events this fall! This tote is gorgeous in person, I love the mauve color!! It's such a pretty choice for fall. I love the hardware on the handles and the outside pocket - perfect for storing your phone on the go. It's also big enough to hold my laptop! Don't get scared off by the low star rating - apparently the one person who's reviewed it loved it but thought it was too big - what?? 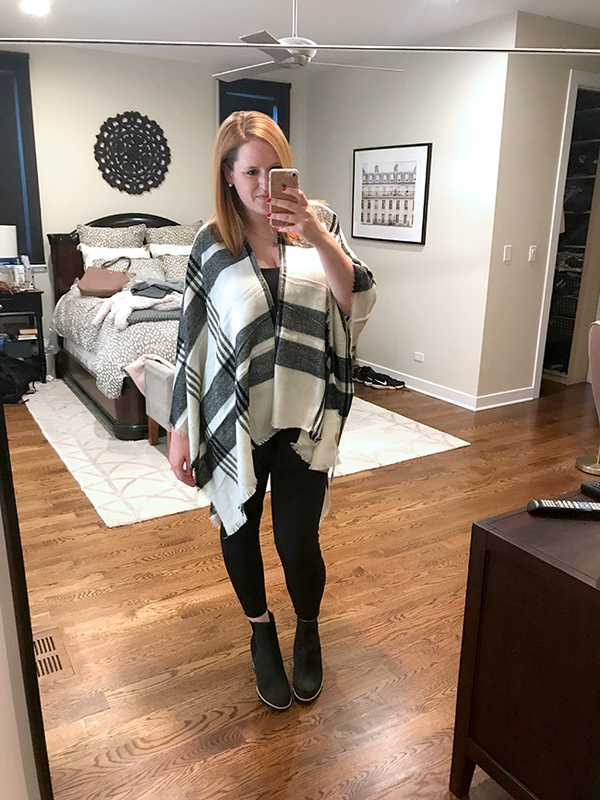 Cute poncho - what more is there to say?! If it's in stock definitely grab this one!! Just a note that this is also completely open on the sides, but for some reason I expected it here. I really liked these at first - mainly for the concept. My friend got last year's version and I was jealous that she had such a cute snow boot option. They have cozy fur insoles like all UGG boots and actually aren't too high of a wedge. But they did hit my ankles in a weird way - something I thought could be remedied with socks. The more I wore them though, the more they started to pinch my toes, so they're headed back. 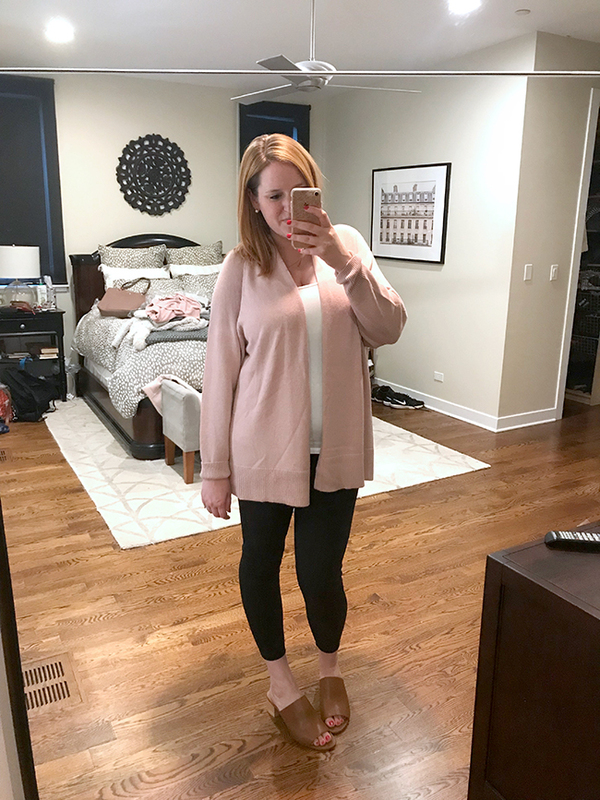 This cardigan is comfy, a cute color, and flattering. I love that the sleeves are long enough (cuffing them here) and that the length isn't too long so I can wear it with shorter coats and not look like a dummy. I wanted to love these, I really did. The heel height isn't too high and I love the color. But, the front cut out pinched down on my toes with every step. So, back they go! I think I would have kept this if I didn't realize I already have something just like it, and liked the other pink Leith cardigan better! But this cardigan is also really comfortable and cute, so I wouldn't not recommend it. These are the exact same sneaker as the pink - just have to decide which color I like better!